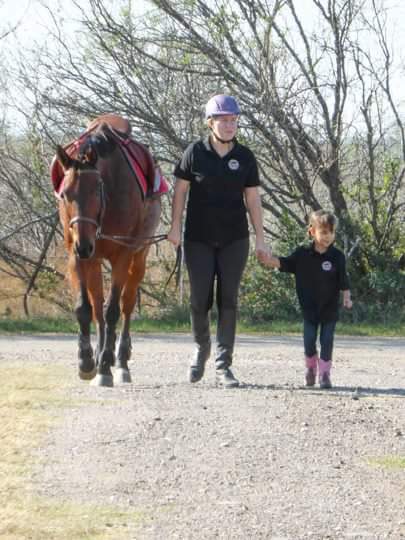 Janet, her daughter Natalia, and their horse Luna (the faces behind the name). 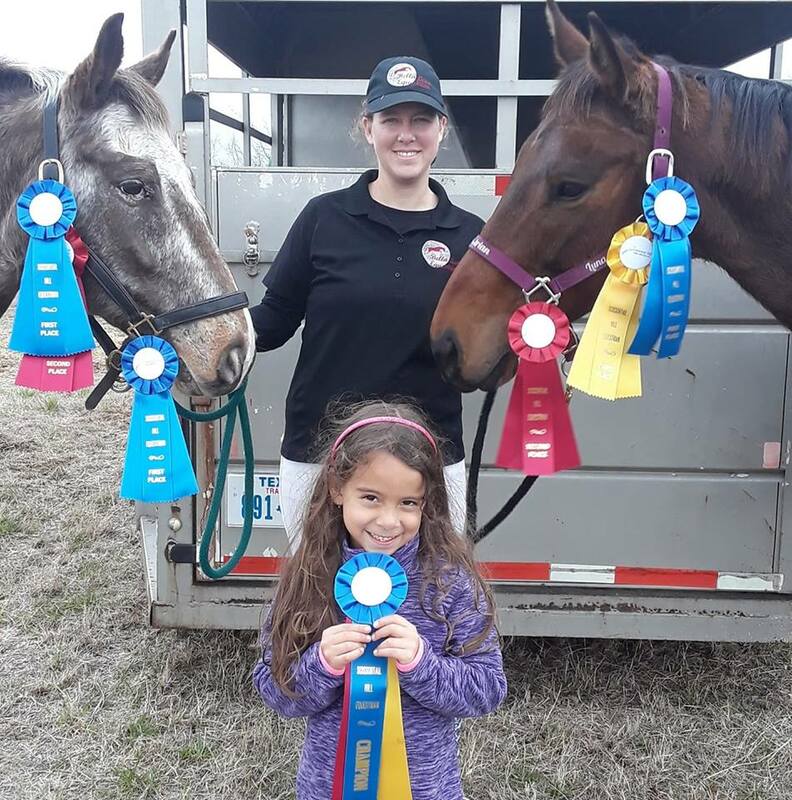 Bella Luna Equestrian is owned and operated by Janet Miner Ramirez. BLE is located on 20 beautiful acres at Timber Ghost Stables in Hutto, TX. There is a covered arena and an outdoor arena. Hunter/Jumper and Cross Country lessons offered to beginners through advanced students. Contact Janet set up an appointment! Well, our SHE show got rained out and is now scheduled for 4/27. Janet and Courage made it to the DSRP Dressage show on 4/14 and placed 2nd in both First Level Test 1 and 2! Meet Remi! He is an awesome quarter horse gelding that has joined our lesson program and will be starting work in the next few weeks. You can meet him in the gelding pasture. Luna is available for partial lease, details can be found on the Services page. Want to help support BLE? Grab some BLE gear and head out to the shows!! Visit www.twosocksdesigns.com and find Bella Luna Equestrian in the Stable Shops page. There are decals for your car, hats, show shirts, jackets, and more. Want to join the BLE show team? We would LOVE for you to join us. We attend schooling and rated shows. They are fun, relaxed, and competitive. See Janet for more details on joining. Is there a show you would like to attend that is not listed on the Events page? Let Janet know about it.